Droidsheep Apk – Are you looking to hack Facebook, YouTube and many other sites via your smartphone? Then today we have a quick solution for you called droidsheep app which runs on Android and iOS devices. 2 How to Use Droidsheep App? 3 How to Download Droidsheep APK? Droidsheep Guard uses the technique of hijacking by cookies to hack accounts of popular sites. DroidSheep will not share passwords or email of the account but you can access that account without giving them a hint. In short Droidsheep app will provide direct access link of your desired account. Note: We would like to inform you first that this app only works on rooted devices. If you don’t have rooted device and you want to use droidsheep app on your iPhone or Android smartphone then we would like suggest you root your device first with iRoot Apk (Root Any Device without PC with One Click). How to Use Droidsheep App? #1. 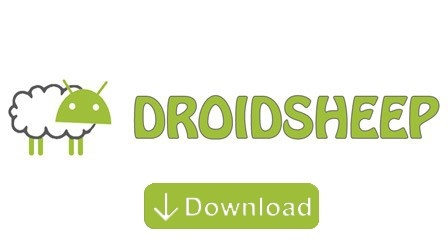 First you need to download and install DroidSheep APK. #2. Once you done with installation process Open it and run on your device. #3. You will get a disclaimer as “Droidsheep comes with no warranty”, you need scroll down and click on I agree on “Terms and Conditions”. #4. If you are on Wi-Fi then your smartphone has one option call ARP spoofing and generic mode. If you want to hack cookies of accounts only then you need to select ARP Spoofing and if you want to hack other sites details than click on both ARP and Generic Mode. #5. Keep safe your accounts. How to Download Droidsheep APK? We are not suggest to use this app to hack someone else app because it is not legal and this app is not legal as well but you can use it to test your security of your accounts. If you still want droidsheep app download on your android or iPhone device then you can download with below button. Here we are going to share droidsheep root apk with you so once you root your android smartphone then you can download droidsheep for iPhone or droidsheep for android smartphones. So droidsheep apk download free version for you is available for you below to download. If you found droidsheep not working then it must be an issue from developers side so download droidsheep guard apk on your own risk. We are not suggesting here to hack someone social media account because it is illegal and you download this app based on your own risk, we only shared Droidsheep App with you and it’s up to you now how you use this app. We hope you like this post and if you still have any doubt then you can drop your comment below and we will get back to you as soon as possible with solution for Droidsheep Apk queries.